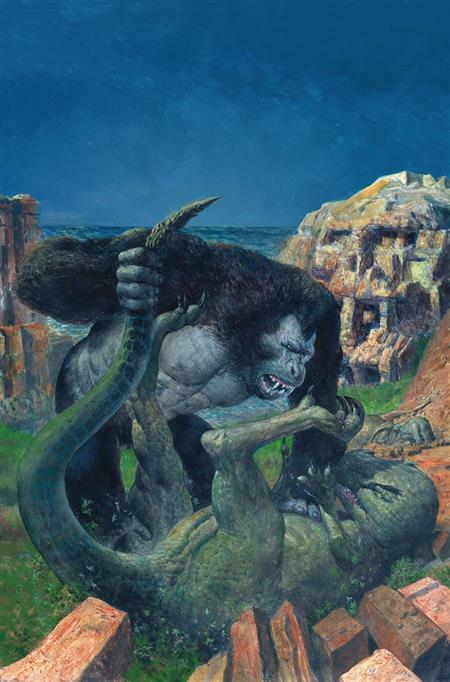 Paul Allor ( Teenage Mutant Ninja Turtles ) and Dan McDaid ( Big Trouble in Little China, Judge Dredd ) present a new look at the mysterious history of Skull Island. When an early Viking expedition washes ashore on Skull Island, they see only the promises of wealth in the island's riches, and not the dangers. Decades pass as the Vikings attempt to bend the powerful island to their will - or die trying.